Chennai : A B.Com student was brutally stabbed to death by a stalker outside her college gate. Media reports suggest reason behind the murder was refusal to his marriage proposal. This is the fourth such incident since June 2016 where a girl was murdered by her stalker. 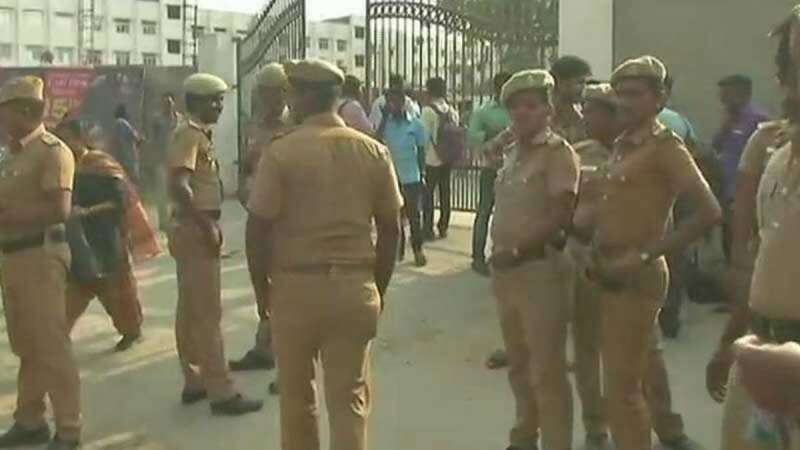 Hindustan Times mentioned statement released by police, "19-year-old M Aswini, a first-year B.Com student at the Meenakshi Academy of Higher Education and Research, was walking towards the bus stop around 2:45 pm when the accused, Alagesan (26), attacked her with a dagger." The attacker slit her throat, killing her instantly. She was rushed to a nearby hospital but pronounced dead by the doctors. The attacker was nabbed by the passerby, later handed over to the police. The victim girl’s parents had also filed a police complaint against the murderer Alagesan last month. But, he had managed to get bail in the case.